A Way Out is the latest game made by Joseph Fares and the team of Hazelight Studios, previously known for Brothers: A Tale of Two Sons. With its interesting idea grounded in player cooperation, this game has been on my radar since its big reveal during E3 last year. And if we’re really being honest, who doesn’t love a good prison break narrative? I know I sure do. A Way Out takes you on a journey of two complete strangers, each coming from different walks of life. Leo, an angry man who turned to crime early in life, is in jail after a diamond heist gone terribly wrong. Vincent, on the other hand, is a college educated man in jail after being sucked into a life of organized crime. The two will need to work together to not only escape prison but to get revenge for what landed them both there in the first place. And as you’ll soon find out, it was all because of the same man: Harvey. Despite a rough start, and following an intense kitchen fight for their lives, both men grow to trust each other, hatching and executing a plan to escape from the prison and getting their lives back together. As you’ll find out quite quickly both Leo and Vincent have very different approaches to the world, and this will impact everything from making plans and following directions to finding out information from the various NPCs. Of course, since each of the chapters within the game offer different ways to play, from quiet and stealthy to completely chaotic, you’ll have fun whichever you decide. The story ebbs and flows in such a way that it makes the relationship between Leo and Vincent, as well as their interactions with the NPCs, as organic and entertaining as possible. And, if you were looking for a good laugh, you’ll certainly find plenty with the jabs each of the men get in at each other throughout the entire story. The twists and turns of the storyline are so well designed that it’s hard not getting thoroughly invested in both stories happening at the same time. The narrative is one that’s not just entirely captivating, but emotional as well. From beginning to end A Way Out will have you on the edge of your seat with fingers crossed for some sort of happy ending for both Leo and Vincent. One thing that’s obvious from the start is just how much planning went into making the variety of interactions within the game as interesting as possible. The dual storyline is captivating not only in execution but also in style, as the fate of both men intertwines time and time again. 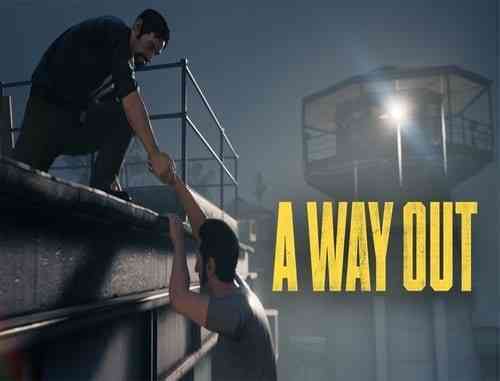 Though the idea of a prison break isn’t exactly original, the relationship between Leo and Vincent makes for a very different experience, as does the cooperative component of A Way Out. You must work in cooperation to gather information, get past obstacles, distract guards, make your way into unreachable areas and ultimately, to escape and exact your revenge on Harvey. This can be done by couch co-op play or online cooperation, both of which are split screen. Of course, this isn’t something that will feel natural at first if you’re not used to playing split-screen, however, it is necessary to understand the story from the other players views as well. While there aren’t any different game modes available here, and despite the game’s linearity, there are a lot of mini-games to play throughout the story, offering a certain level of flexibility. From playing horseshoes and darts, and a whole lot more, you’ll find there’s a lot more to do within the wide linear narrative offered. Outside of these mini-games, A Way Out doesn’t exactly offer much in the way of replayability. Though you can play through the game a few different times, picking Leo instead of Vincent and vice versa, and making different decisions along the way, that’s pretty much it. With that said, and depending on how much you interact with the variety of characters and how many mini-games you take part in, A Way Out will take anywhere between 7 and 15 hours to beat. While we’re on the topic, there genuinely doesn’t seem to be much in the way of consequences at all here. As a fan of the decision-making processes having some sort of impact on the story, this is rather disappointing. I’m not expecting a huge tree of branching decisions, but a few consequences for making mistakes, or picking the wrong words when interacting with an NPC would’ve made the game that much more exciting. Just to give you an example, there’s a part in the game where you have to try and sneak a tool out from the shop in the prison without getting caught by the guard. I decided to walk through the metal detector which caused the guard to find it during a pat down. I half expected to be set back in our plan to escape or to have to come up with an alternate plan. Instead, the game just loaded at the previous checkpoint. Though the game does keep a certain level of anticipation the whole way through, this element of surprise could have been increased with small consequences along the way. 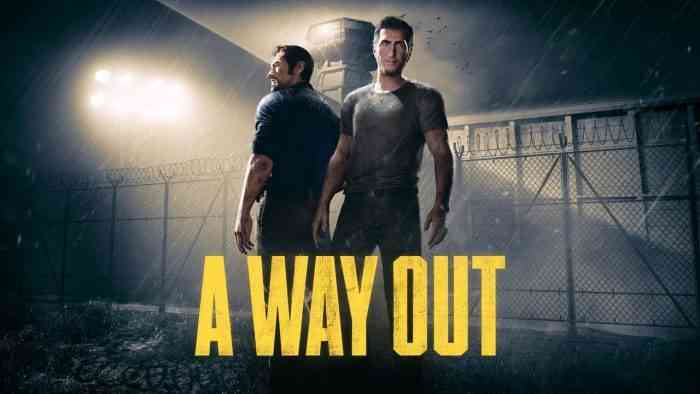 There’s no denying, however, that A Way Out is visually stunning, though that’s not as evident until you maneuver outside of the prison walls. As you make your way through the story you’ll discover different areas of the prison and beyond, each looking like they were carefully detailed to fit the game completely. From cutscenes that rival the big names in the industry to crisp textures throughout, this game looks very well crafted. As much as I wish I could say the sound maintained the same level of consistent craftsmanship, this just isn’t the case at times. A Way Out suffers from a couple different dialogue issues here that are definitely noticeable. 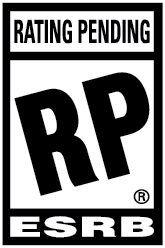 As this is a game designed to be played entirely cooperatively, it’s often hard to hear one player’s interactions with NPCs while the other is also carrying on a conversation. In addition to this and while the relationship between Leo and Vincent is enjoyable throughout the narrative, there are times that the dialogue just seems a bit lacking. 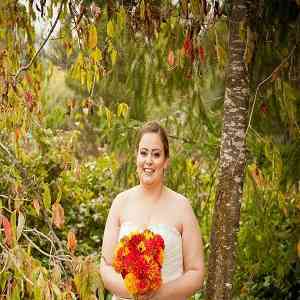 Thankfully, these are small annoyances that are quickly forgotten. It doesn’t hurt that the other sounds are clear and crisp. From the sounds of the prison to the sounds out in the wild, everything seems quite real. A Way Out is creative and thoughtful, which is exactly what you want to see from a linear and narrative based story. Unfortunately, there are a few things that stand in the way of the game reaching its true potential, specifically a complete lack of consequences, as well as a few dialogue issues. Other than that, there isn’t exactly a lot to get disappointed over, as the game is exactly what it was promised to be and then some. Overall, Hazelight Studios really nails what it means to make a good cooperative narrative-based game that will have you wanting to dive back into the thick of it every time.